During the brunch, we went around the table and introduced ourselves to each other and to Amanda. We shared a bit of background of ourselves, which we had never done before even though some of us have known each other for a few years now! It was an inspiring chat session, so thank you, Amanda, for this brilliant idea! 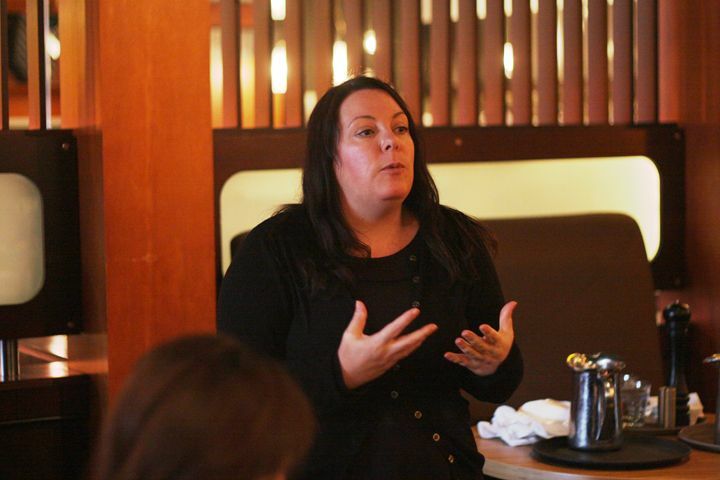 After we had some food in our system, Amanda talked to us more about the PIXI products and the brand itself. 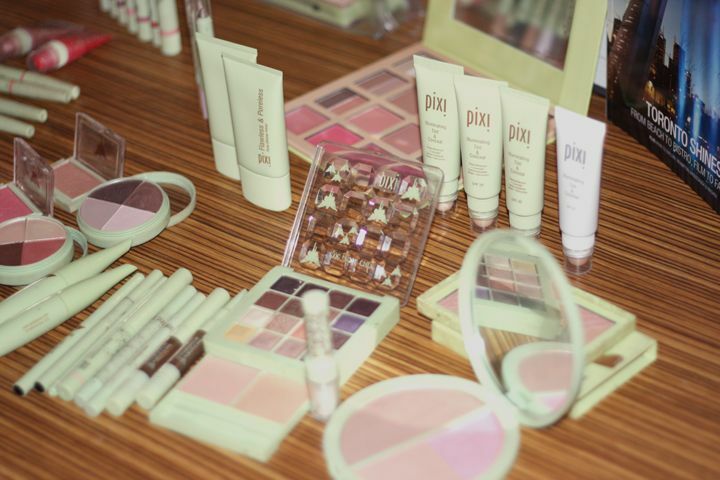 When PIXI was first founded by Petra, it all started in a small boutique in Soho, London. 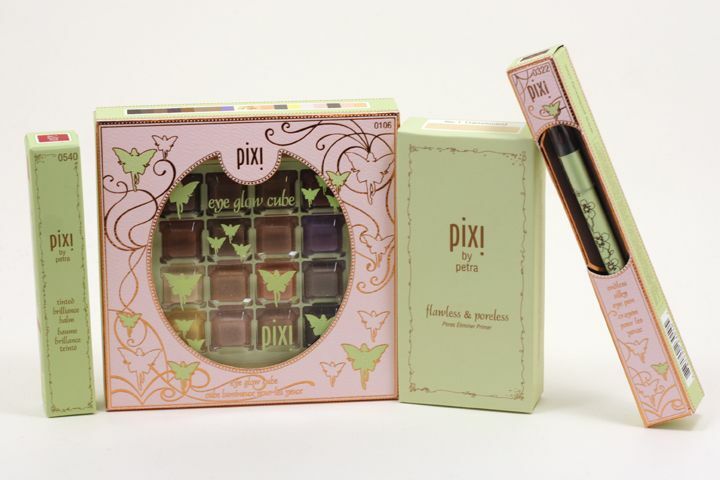 Now PIXI has grown to a brand that is loved by women from all over the world. 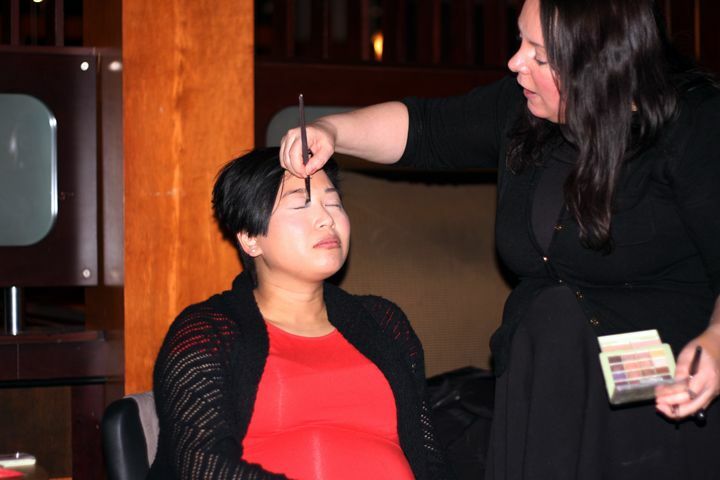 Next, not only did Amanda introduced us to most of the products that will be available at Target, she also did it whilst doing a demo using PIXI products on Stephanie from blushpretty. 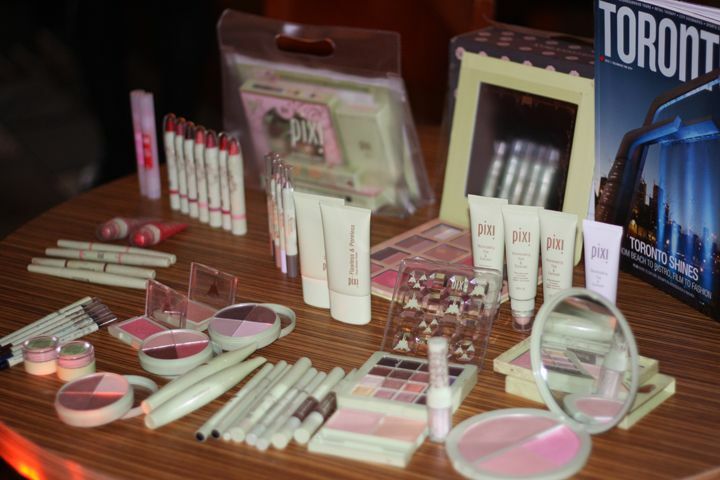 She also shared a few tips and tricks in using the PIXI products. One tip that I remember really well is dotting a little bit of blusher, the same one you used on your cheek, on the center of your eye lids to make the makeup look flow. Amanda wanted to keep the main focus of the look on the cheek, so she actually applied the blusher first before eye makeup, which I tend to do the other way around. And sometimes, I would do a little too much on the eye and ended up with subtle cheeks instead, so I'm going to try a different order next time. Then, of course, we have the opportunity to play around with the testers! 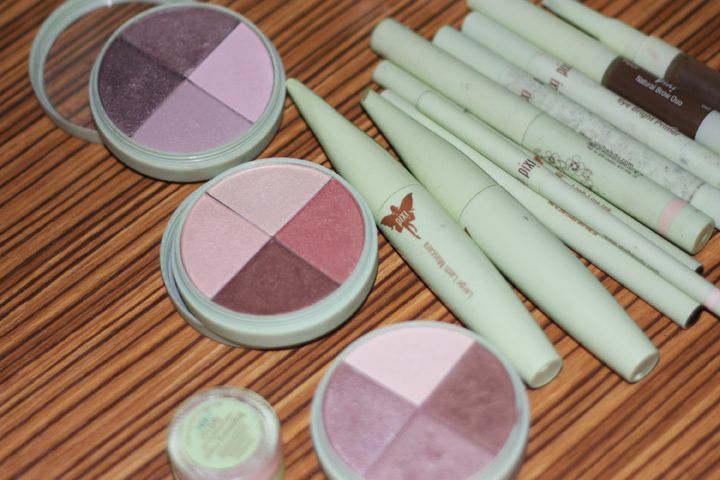 And here are some products that Amanda has brought along with her all the way from the UK! A few standout products including..
Illuminating Tint & Conceal ($30.00 / £21.50) — This product is dubbed as the "original BB Cream", because not only it's brightening and offers some coverage, but also "infused with potent botanical extracts & vitamins" according to the PIXI website. 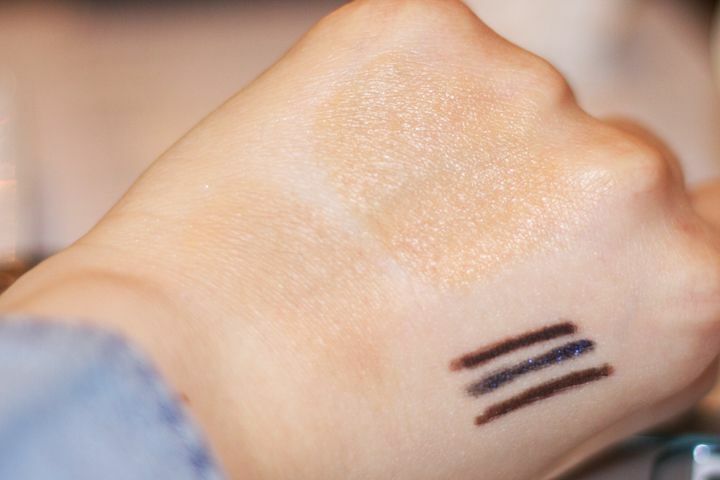 When I swatched it on my hand, I can see that it is very brightening and gives a really nice glow. The concealer side also offers great coverage! Tinted Brilliance Balm ($16.00 / £12.00) — I am all about tinted lip balm, i.e. something that I can apply easily on the go! 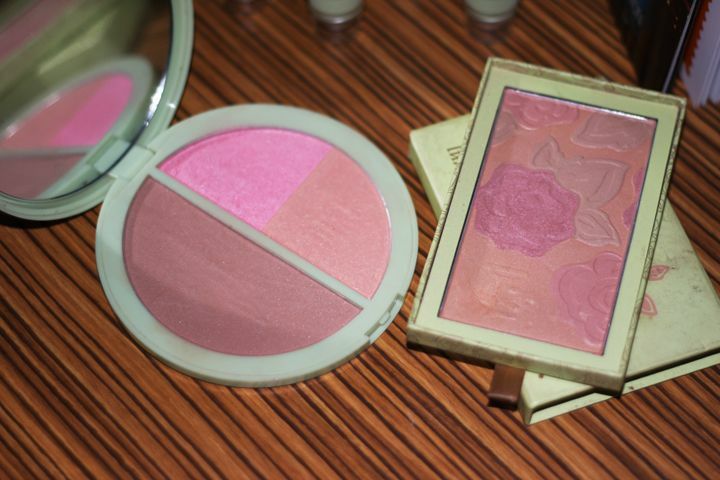 And these were felt really moisturizing on hand, and they are quite pigmented too! 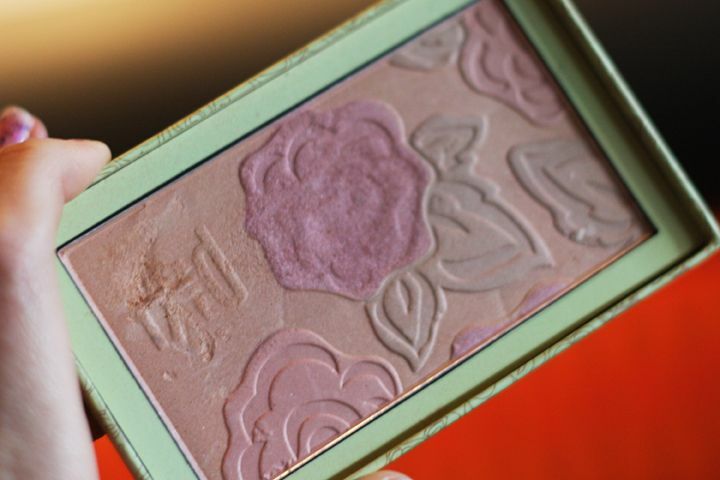 Bronze Bloom Trio in No.1 Bronzette ($28.00 / £16.00) — This GIGANTIC compact of trio includes a bronzer with subtle to no shimmer, a peachy pink blush with shimmer, and a neutral peach colour again with shimmer. This stood out to me, of course, because of its size. 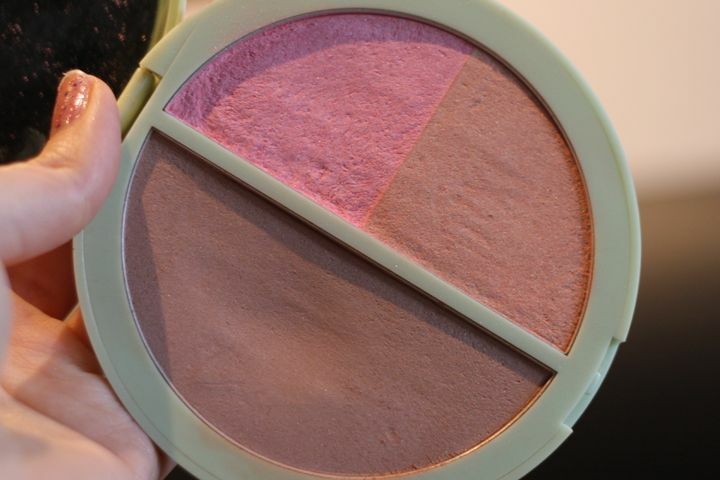 But I also think that it'll be a very handy trio to have if you're someone who does not own a lot of cheek products and want one that does everything! 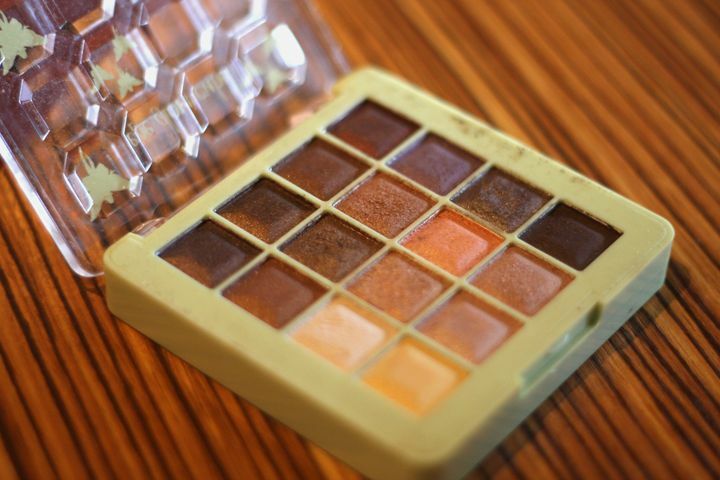 Eye Glow Cube ($28.00 / £18.00) — I love a good palette, and this 16 colour baked eyeshadow palette is a pretty amaze-ball. 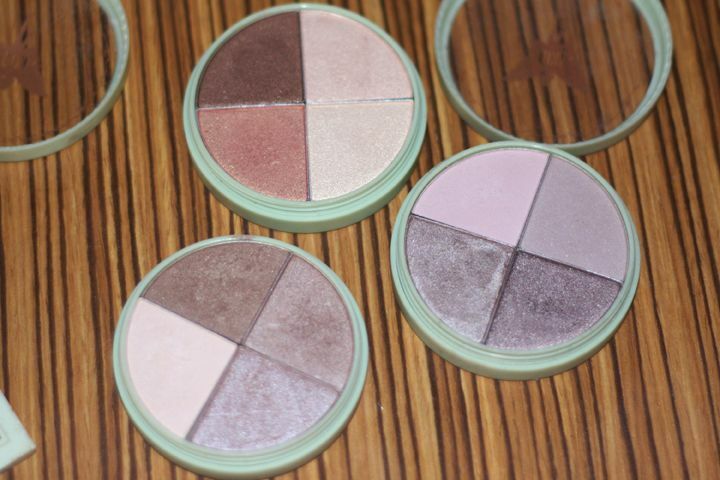 All the eyeshadows are baked so they are a little different that the other ones that they have in their range. 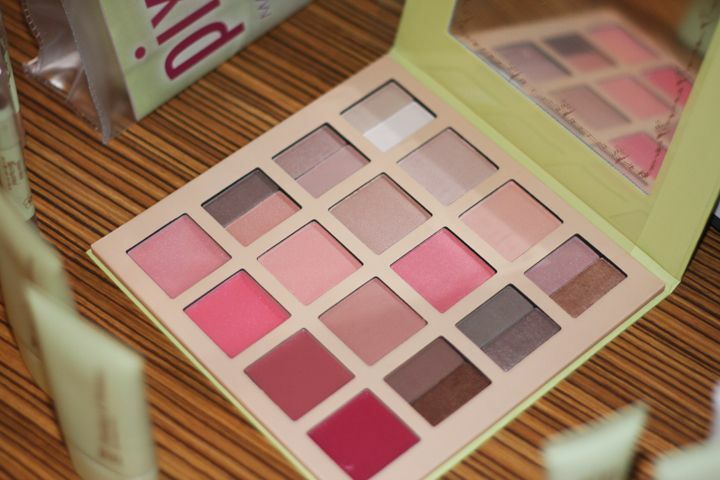 But nonetheless, all the colours are super pigmented and universally wearable! I just can't wait to play with it! And there were two more products that stood out to me... My everyday makeup changes depending on my mood and the time I have before work, but it always involve a mascara, an eyeliner, and an undereye concealer. Their mascara didn't wow me but I certainly have my eyes on the Lash Line Ink in Black Silk ($16.00 / £12.00) and the Correction Concentrate in Brightening Peach ($15.00 / £12.00). Amanda described Lash Line Ink as this long wearing liquid liner that will also be good on the tight line and the felt tip is small enough to fill all the little gaps between lashes. I am a bit skeptical about its longevity but tight lining is my thing (I've been doing that since I was 13), and I for sure have to try it out! As for the Correction Concentrate, the concept is similar to Bobbi Brown Corrector, but I feel that this is much more brightening and moisturizing. 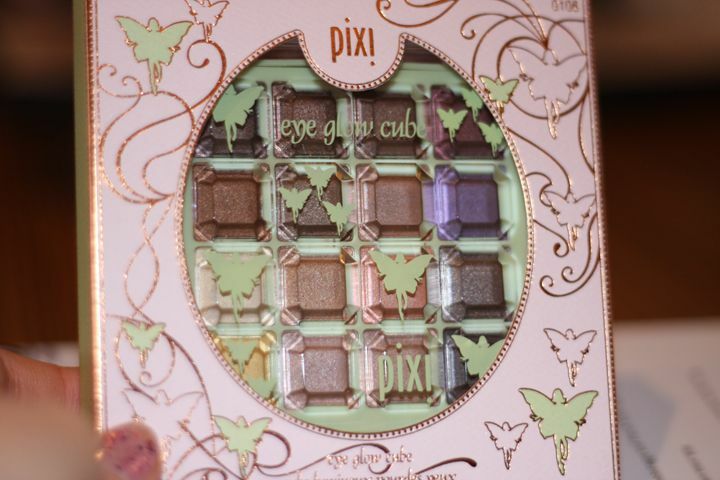 The Bobbi Brown one can get cakey, but the PIXI Correction Concentrate seems quite light, so I am having high hopes! Eyeshadows, mascaras, eyeliner, and other goodies! I can't get over how cute the packaging is for the eye glow cube! After a few hours of chatting about makeup and life, we parted with the lovely Amanda, who has to go and catch a flight soon after! She came all the way from the UK just for us. I feel so special and thankful! We are also sent home with a few "start products" in Amanda's book to try out. Yay! So that's it for now! If you want to check out what we did during the brunch, you can go on Twitter or Instagram and used #PIXIBrunchTO to catch up! 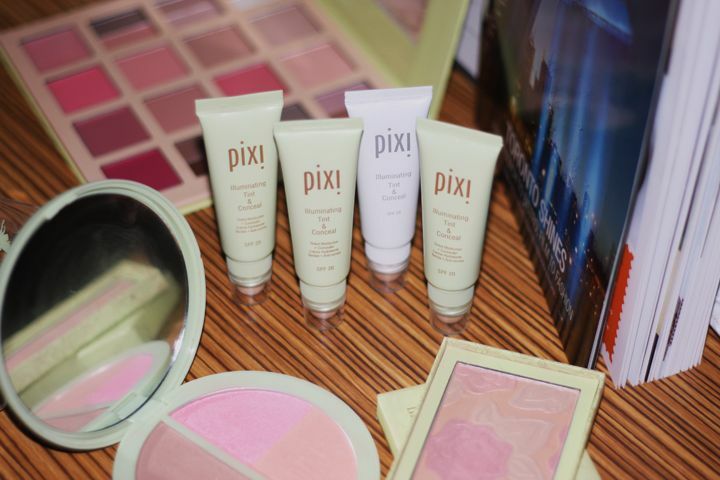 Be sure to keep an eye out on PIXI Beauty that will be available in the newly arrived Target near you, most of their products, including the new PixiGlow collection featuring Tinkerbell artwork will be available in Canada! 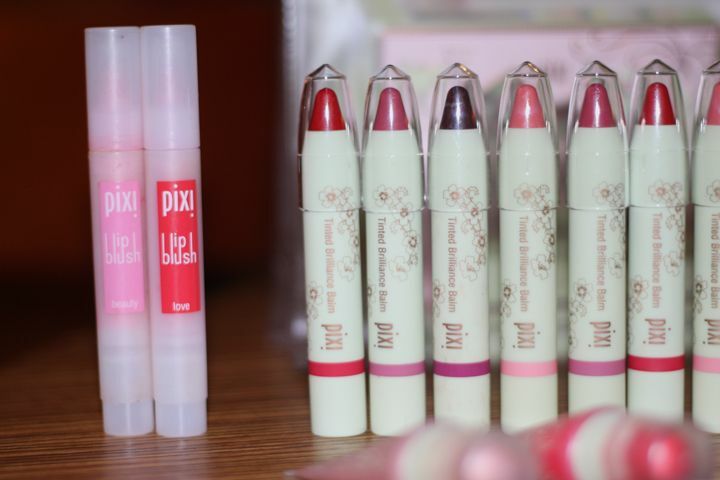 Also, don't forget check out my fellow Toronto Beauty Bloggers' blogs and PIXI Beauty if you haven't already. What an amazing post, you ROCK!!!! YESSSS I AM! 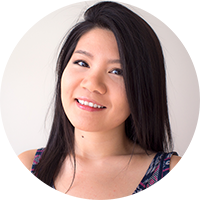 Haven't blogged for so long... I'm glad to be back! 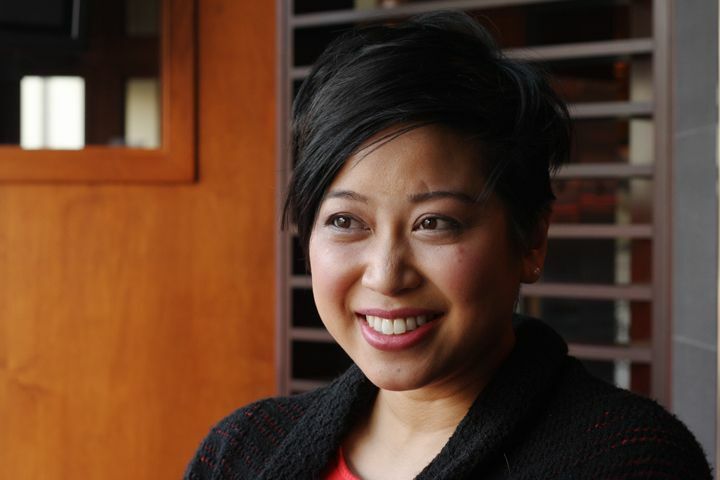 Great post, I had a blast hanging out with you---as always. Yay, welcome back!! And it looks like you all had a great time! What awesome products! I'll have to get myself to Target soon and check these out! 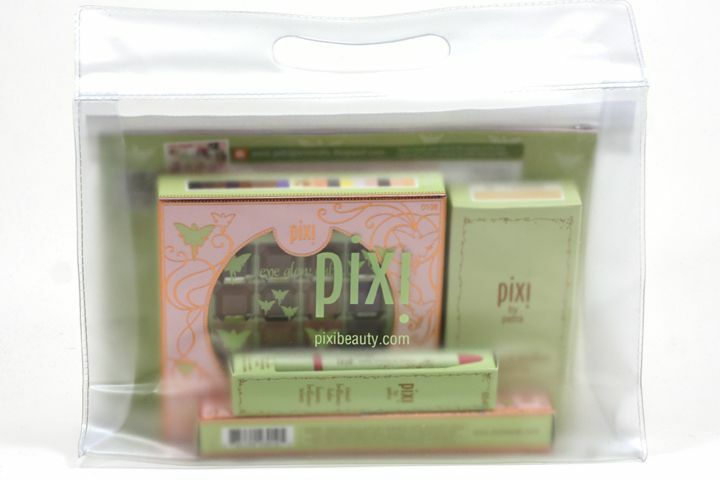 I would love to try some PIXI products! They look really nice!